As you start looking for holiday gifts for the people on your list consider books. There are books for any interest and hobby. 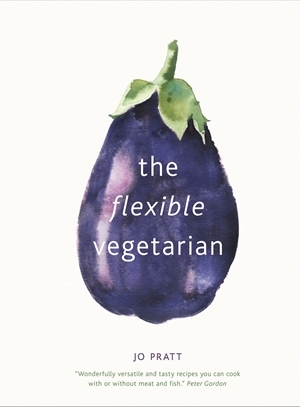 I was sent a copy of The Flexible Vegetarian at no charge for my honest review. All opinions are my own. And one of those opinions is that cookbooks make great holiday gifts. In fact, if your list has a category – gift for cook – a cookbook would check off that box quite well. A TV cook and author of five books, Jo Pratt is a regular contributor to BBC Good Food and Waitrose magazines and often appears on shows such as Channel 4 ‘What’s Cooking?’. She is the former food editor for both Elle and Glamour magazines and was named one of Waterstones ‘Writers of the Future’. She has worked with Marcus Waring, Gary Rhodes and many more high profile chefs and brands. She is the executive chef of award-winning restaurant The Gorgeous Kitchen. This is a beautiful cookbook. It is also a useful cookbook. The author presents the reader with a cookbook in the traditional sense in that you open it up and find listings and categories for various types of recipes. Vegetarian recipes as you would guess from the title of the book. What is the flexible aspect? Ms. Pratt offers alternatives for making the same recipe with the addition of meat or fish. You might think this is a simple concept but you would be surprised at how delicate a balance it is. You will find breakfasts, brunch, appetizers, main dishes and dips that are vegetarian at their heart but can be adjusted to include meat. If you live in a family with a mix of meat eaters and non meat eaters this book offers you the ability to prepare the same meal for everyone but with the small changes needed to accommodate adding animal proteins to one or two plates. Isn’t that better than just slapping a slice of chicken on the plate? The recipes are easy to follow but sometimes you bump into an exotic ingredient. That doesn’t mean you can’t come up with a substitute within your pantry. The instructions are well written so you’ll be able to present a lovely dish whether is just dinner for two or a party.